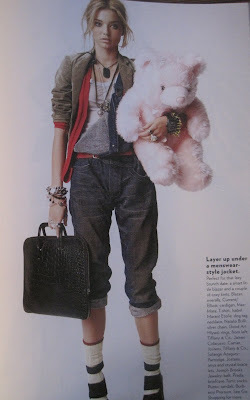 I couldn't love the styling any more in this Glamour shoot! Miranda Kerr piles it all on in a personal style, sporty themed shoot for the December issue. I'm totally working some of these ideas into my wardrobe. Especially the socks. I've always loved a good sock with some heels. 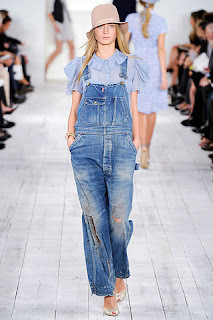 And there definitely is an old trend resurfacing: overalls! Seen in the second shot of Miranda above from Current Elliot and if Current Elliot is doing them then girls will definitely be wearing them. 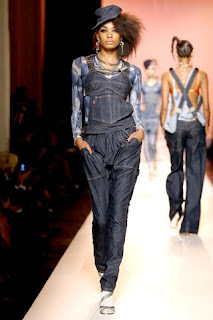 Those girls have been setting the trends for denim since starting their line. Will you wear them again?? My memories of overalls include wearing them too tight and having them ride up in the back causing me to be taunted in school.. So I may sit this one out.